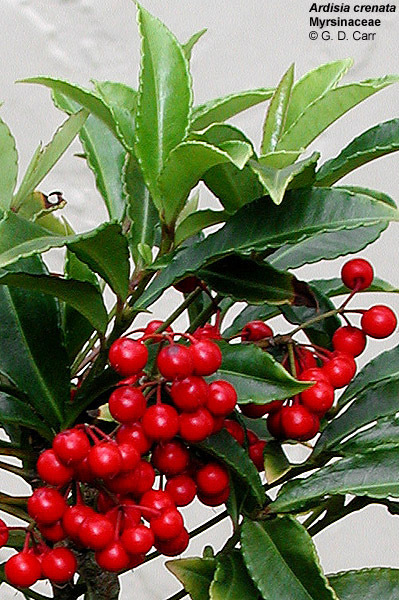 Ardisia crenata, Hilo holly. 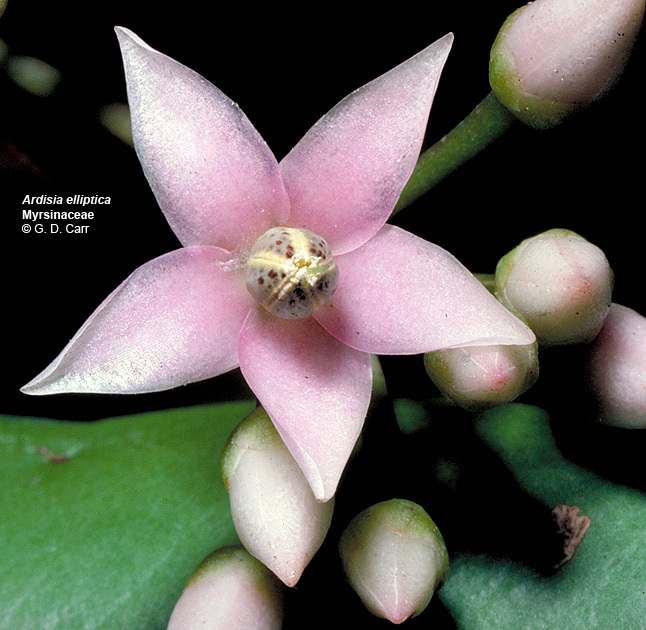 Notice the terminal dehiscence of the anthers and their position opposite the corolla lobes. 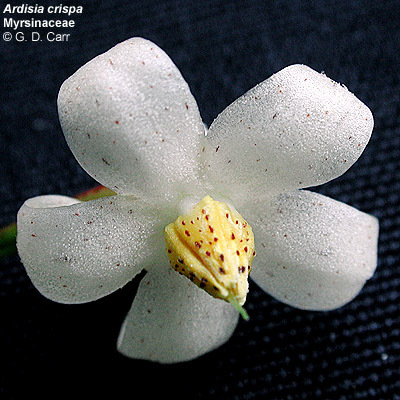 Also visible on the fruits, corolla, anthers, and peduncles, are the glandular dots characteristic of the family. 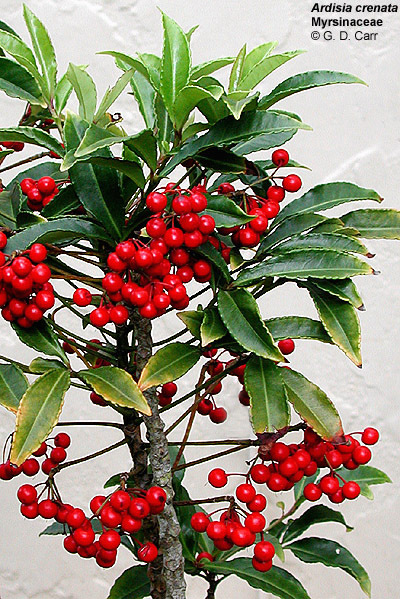 These would be more clearly visible on the leaves with appropriate lighting. 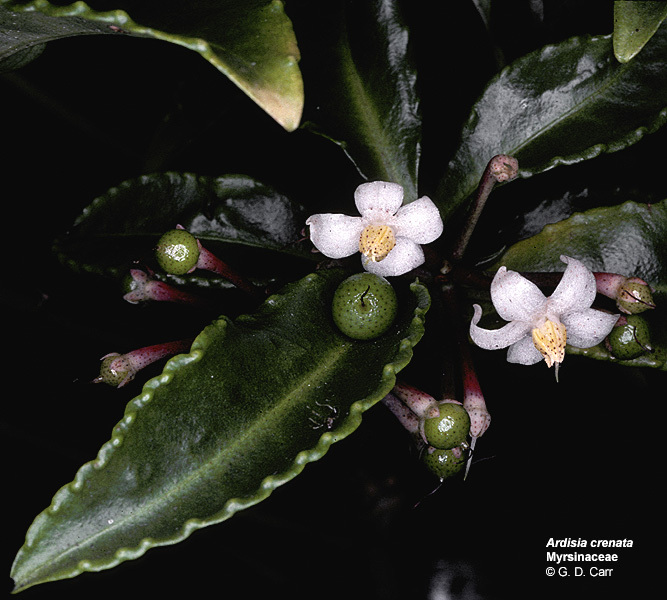 Ardisia elliptica, shoebutton ardisia. 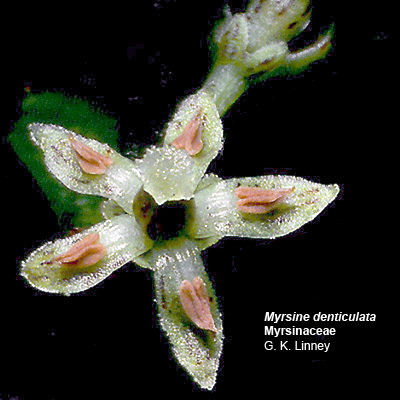 This species exhibits the sympetalous corolla and stamens opposing the corolla lobes that are typical for the family. 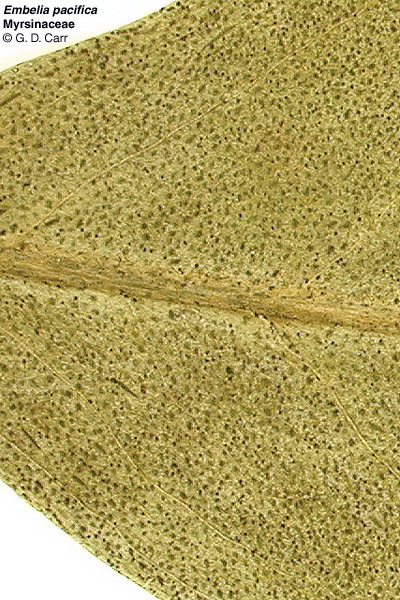 Visualization of the glandular dots would be enhanced by transmitted light. 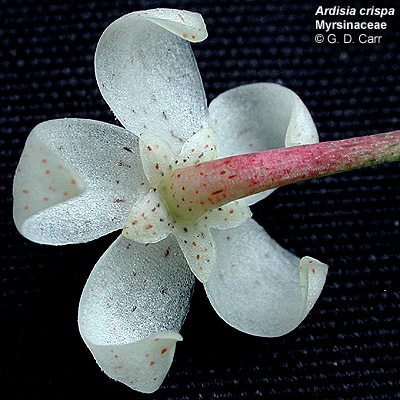 Embelia pacifica, kilioe. 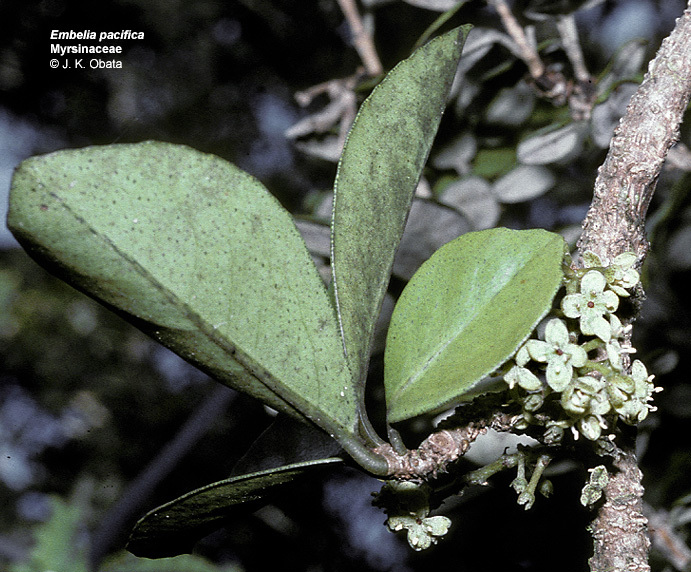 This endemic Hawaiian species exhibits the glandular dots on the leaves that are typical for the family. 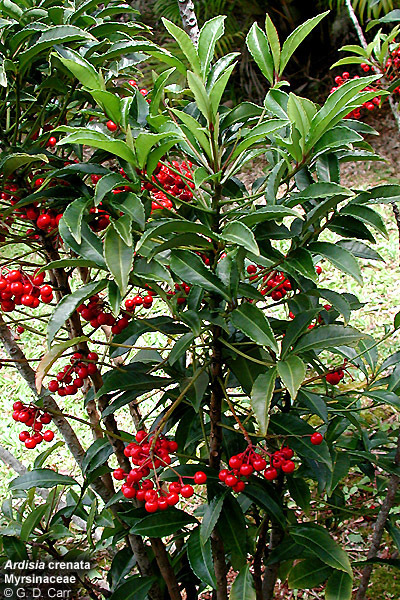 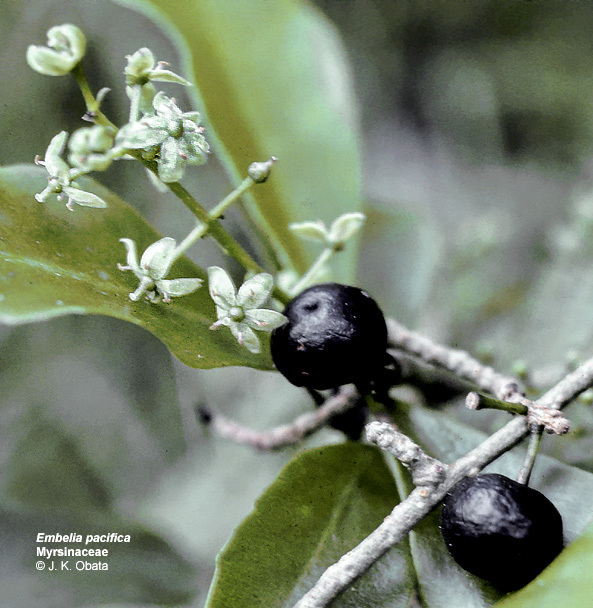 Myrsine lessertiana, kolea lau nui. 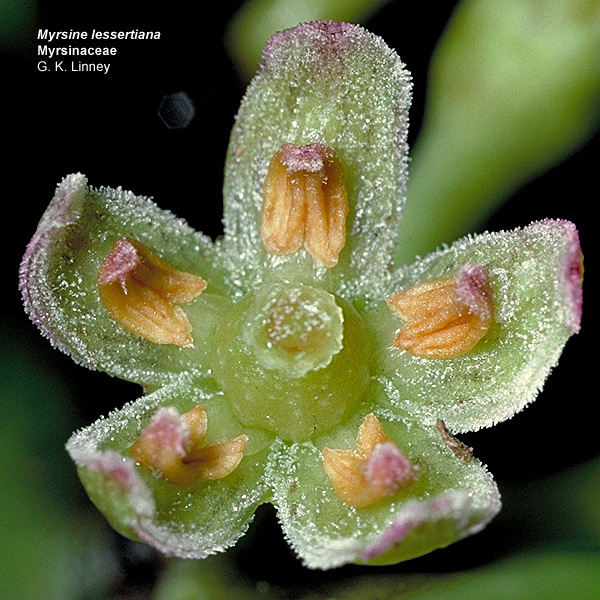 This is one of several species of Myrsinaceae native to Hawaii. 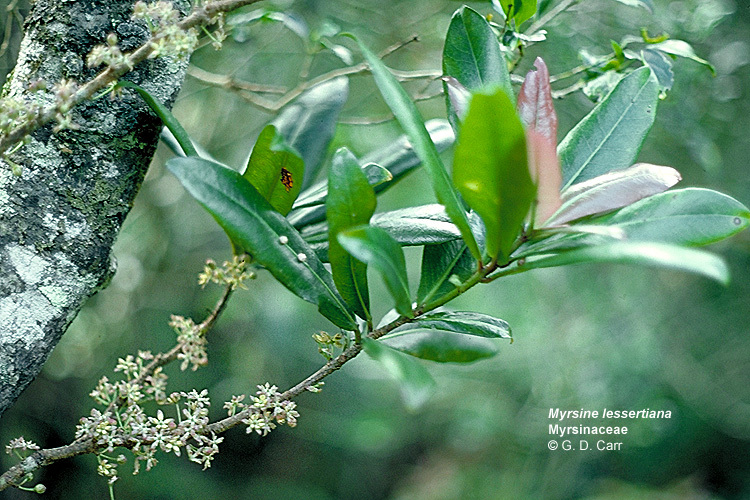 The reddish coloration of the new leaves is a helpful field character. 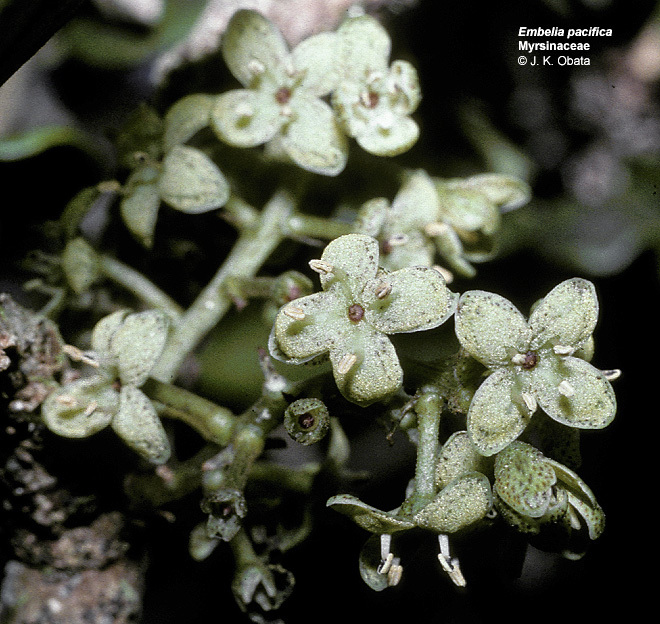 As seen in the lower photo, this endemic Hawaiian species has greenish to yellowish flowers with sympetalous corollas and stamens that are opposite the corolla lobes.